Did you know that there are clubs and societies dedicated to the admiration of music boxes? Also known as automatic musical instruments, these tiny melody machines have brought enjoyment to both children and adults for years. Whether it’s tiny ballerinas spinning to the tune of ‘It’s a Small World’ or wintery snow globes set to the tune of ‘Silent Night’, no doubt that these are definitely treasures worth keeping. If you’re interested in collecting unique music boxes, here are some tips to help you navigate through this wonderful world. There are several sites out there (like ebay and kijiji) that offer up “rare” pieces. But often times, these music boxes are hardly rare and similar items can easily be found at your local big-box store. Unless you genuinely believe the item is approaching antique-like stages, avoiding dropping a lot of money on music boxes that are actually cheap knick-knacks. Look for older pieces that consist of more traditional mechanics and intricate scenes. The more you compare items and review their features, the better choices you will make in the long run. A simple search online will yield dozens of groups that specialize in the fascinating world of music boxes. For a small membership fee, you can join like-minded collectors from around the world you would otherwise not have a chance to connect with. 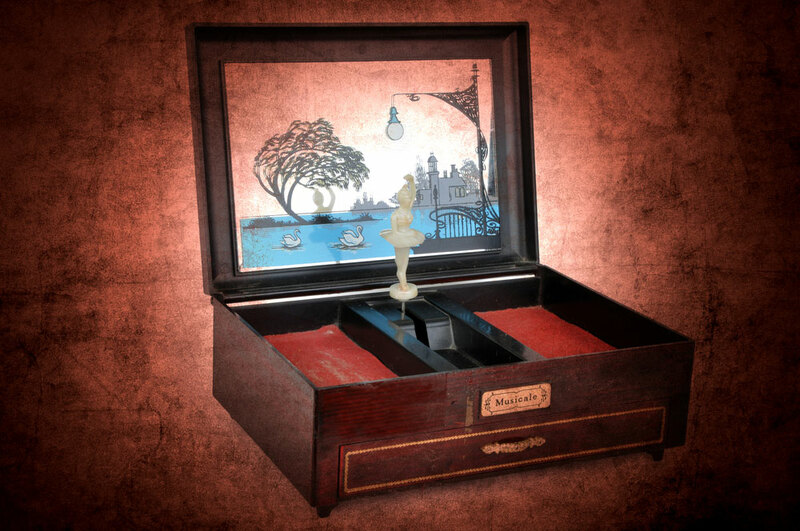 As obscure as this hobby sounds, you’d be amazed by the millions of people who also share a passion for music boxes — with some even dedicating their lives to the study of these pretty items. Find a music box on Ebay and not quite sure if the seller is trying to run a scam? Then speak to a professional who knows how to differentiate between a valuable item and a lemon. Establish whether the seller’s description is accurate and try to determine the rough market value of the music box. If you don’t know how to locate a reputable dealer, then ask fellow members within the collectors’ organizations that you’ve signed up for. There’s a misconception that “true collectors” are always in-the-know about what to “appreciate” when it comes to antiques and art. But sometimes, we simply love what we love. That wooden music box featuring a huge green frog may not be deemed the “classiest” collectible. But if you like it, then you like it. Music boxes should bring always bring a slice of pleasure as soon as you open the lid. Don’t be swayed by other collectors about what is acceptable to admire and what is not. After all, it is ultimately your ears that will be hearing the melody and your eyes that will gaze upon all that beautiful ornamentation!